January 16, 2014: The case against Jindal’s waste to energy plant based on unapproved and experimental Chinese technology came for hearing before the National Green Tribunal (NGT) on January 15, 2014. Okhla Anti-Incinerator Committee (OAIC)'s prayer is simply that the plant be removed from the residential areas. The next date of hearing is on 19-02-2014. The plant was shut down on January 12 but it has started functioning again. The January 15, 2014 order reads, "the Central Pollution Control Board submits that the Unit was inspected on last Friday and the report is under preparation and same will be filed within one week from today with advance copy to the Learned counsel appearing for the parties including the Applicant who may file Objections, if any, within two weeks from today." Nothing is heard about toxic emissions from such plants that have, around the world, been linked to cancers, respiratory ailments and birth defects. Already the Union Ministry of Environment and Forests has written to the Delhi government about the lack of public consultation on the plant and anomalies such as transfer of ownership without informing the ministry. This plant is releasing war chemicals like dioxins and furans, persistent organic pollutants (POPs), which United State used in Vietnam War under the brand name Agent Orange. The Grievances against the incinerators has been registered with No: 2014747 and 20142534 at Delhi Chief Minister's office. POPs is regulated by UN laws Stockholm Convention on POPs that lists incinerators as emitters of POPs like Dioxins. Air pollutants are passengers without passports. Okhla colonies which are getting engulfed from the dust and pollution from the plant include New Friends Colony, Maharani Bagh, Ishwar Nagar, Sukhdev Vihar, Jamia Nagar, Jasola Vihar and Sarita Vihar Jamia Millia Islamia university, Holy Family hospital and several other colonies and institutions. While the Supreme Court has only allowed pilot projects using the technology to be set up in India, the Okhla plant is in violation of the court’s order as has been revealed through RTI replies. 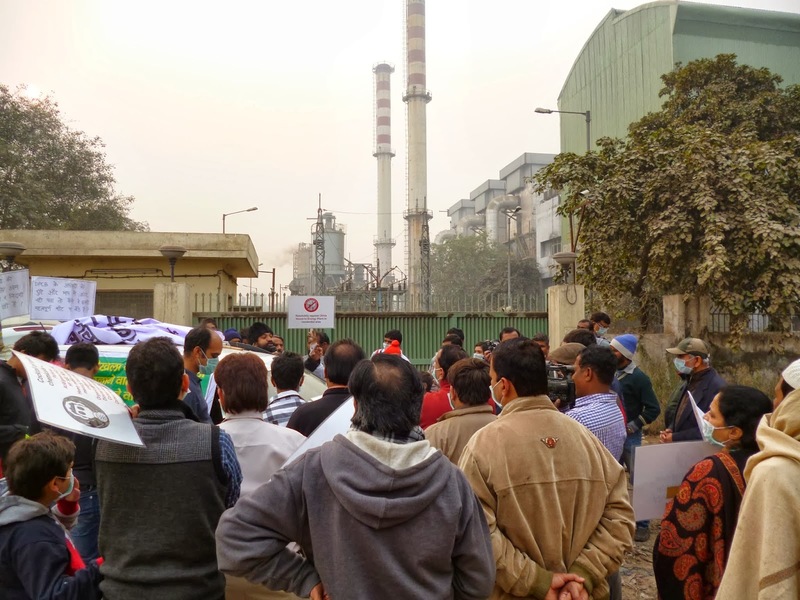 The Okhla Waste to Energy Incinerator plant by JITF Urban Infrastructure Limited (Jindal Ecopolis) has violated every rule in the rule book including environmental clearance conditions. It is using untested and unapproved Chinese incinerator technology in complete violation all laws and environmental clearance of 2007 including its own project design document and environment impact assessment report. Chinese technology provider is from Hangzhou New Century Company Ltd of Hangzhou Boiler Group. The power plant in question has been set up by M/s Jindal Urban Infrastructure Limited (JUIL), a company of M/s Jindal Saw Group Limited owned by Prithviraj Jindal. Legal officials like Mr A S Chandiok Additional Solicitor General and Standing Counsel for the Delhi Government and for the Delhi Pollution Control Committee, Najmi Waziri has been misleading and misrepresenting facts about waste to energy plants in Andhra Pradesh by saying that Refuse Derived Fuel incineration technology was already in use at Hyderabad and Vijayawada. The fact is that there is no plant in Hyderabad. The plant that became functional as per legal officials stands defunct is in Shadnagar, Mahboobnagar district of Andhra Pradesh. The fact that technology for which approval from DPCC and Experts Appraisal Committee, Union Ministry of Environment & Forest was for Refuse Derived Fuel technology but Jindal’s plant is using unapproved and experimental Chinese boiler technology. The header on all the pages of the Rapid Environment Impact Assessment (REIA) report of the Okhla's waste to energy plant reads “Rapid EIA – Okhla Integrated Municipal Solid Waste Processing Facility”. Therefore, it won’t be incorrect to say that this is not a comprehensive assessment of project activity and its likely impacts on health and environment. If “Full or Detailed EIA” is not mandatory for this kind of project activity (we are sure this won’t be true). Page no. 30 of REIA reads “Since this being a rapid EIA, only one season data was collected”. At page no. 63/64 of the REIA, where the ecological environment has been described, it says “The proposed project is at the landfill site, near STP located in Okhla industrial area in the southern part of Delhi.” This description is factually and technically incorrect. Firstly, this patch of land where the waste to energy project is under construction is not at all a ‘landfill” site and was historically never been a landfill site. Moreover, because of the geography of this area, a landfill site can never be created here. Secondly, this is not part of Okhla Industrial Area at all. All this is done intentionally to give the impression that this is being located in the industrial area. I wish to take corrective measures as to how the reviewers, experts or officials at Union Ministry of Environment & Forests could ignore all these facts. The claim made at page no. 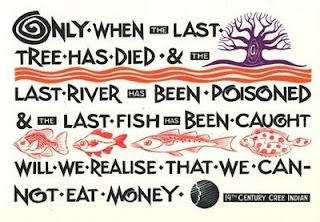 102, where REIA report concludes that “….no likely adverse impact on people’s health is predicted” (i.e. during the operation phase) is totally incorrect. The plant in question is setting a very bad precedent of environmental lawlessness in the national capital by violation every rule in the rule book. The starkest aspect is the location of the plant at a distance of 1.7 kilometers from the Okhla Bird Sanctuary and less than 50 meters from the residential colonies. UP Government has also raised objections in this regard in its 14 page long affidavit to NGT. The plant is operating without clearance under the Wildlife Act. The Writ Petition (Civil) No. 9901 of 2009 in Delhi High Court was transferred to NGT on January 23, 2013. Both from the court and the tribunal, it is a case of justice delayed and denied so far.